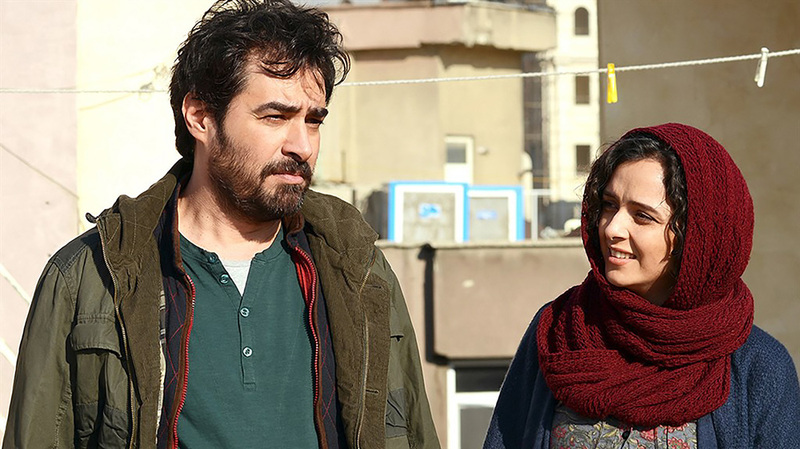 After producing his first film outside of Iran, the much revered Le Passé, auteur Asghar Farhadi returns to Tehran for a film that draws on his experience in theatre and explores the ambiguities and ill fortunes of a troubled marriage. Iranian Cinema doesn’t receive the attention it deserves. But Farhadi has written and directed some powerful and poetic films that have received praise the world over, most notably A Separation which received seventy awards internationally including the Oscar for best foreign language film. 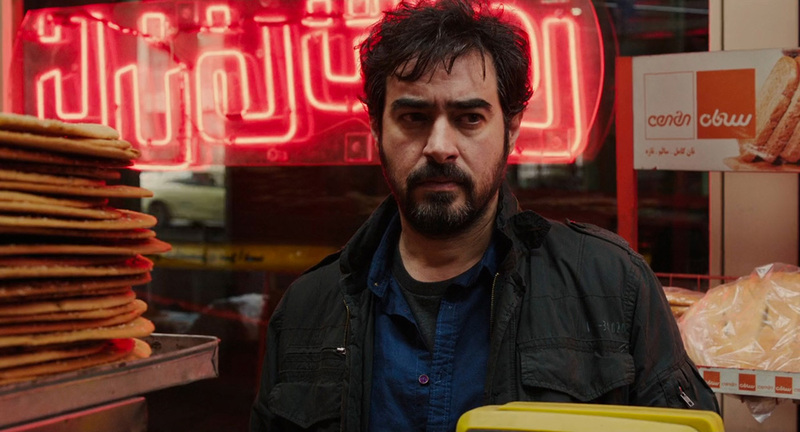 And The Salesman, which also picked up the foreign language Oscar earlier this year despite political controversies in the U.S.A. at the time, is proof he’s showing no signs of fading. The film centers on an everyday, middle-class couple. 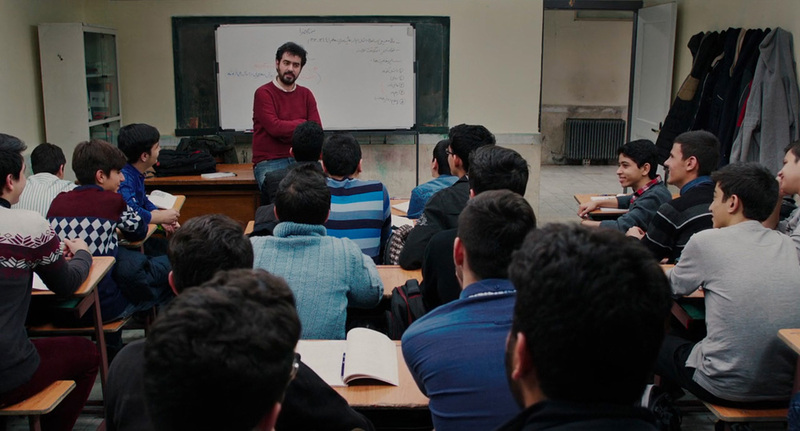 Schoolteacher Emad (Shahab Hosseini) is much respected by his students and community. His passions lie in literature and theatre; passions he shares with his wife Rana (Taraneh Alidoosti). They’re both actors in a local theatre company where they’re rehearsing their performances as the disillusioned salesman and his wife in Death of a Salesman. 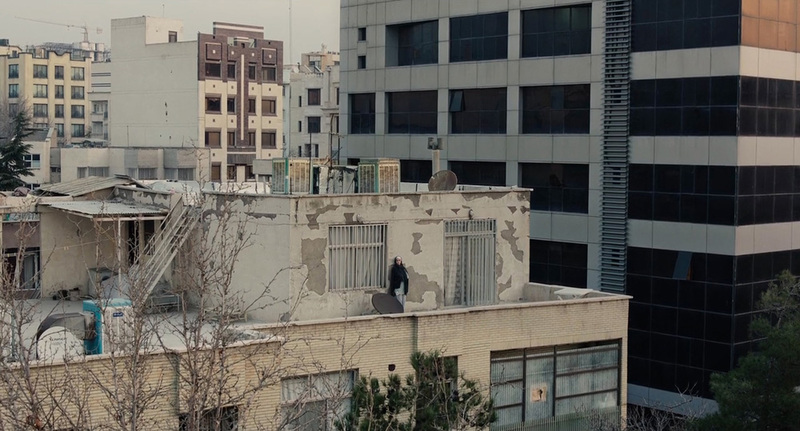 Farhadi describes Tehran as a town whose face is changing at a heady pace, much like the New York in Arthur Miller’s play. It’s changing at such a pace that Emad and Rana are forced to move from their crumbling home, wrecked by a construction site next door, and urgently seek new accommodation. 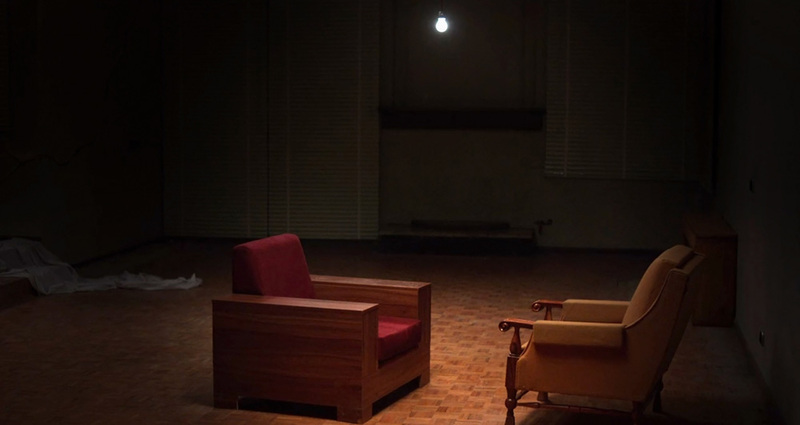 Desperate, they agree to an offer from a friend who possesses a vacant apartment. Unbeknown to them, this apartment was previously occupied by a prostitute. One evening, while Emad is at the theatre, Rana mistakenly lets in a stranger she assumes is her husband. Upon returning home, Emad finds blood on the floor but not his wife. He later finds her at the hospital. She was discovered and brought in by neighbours but she cannot remember what transpired. We learn that she was attacked by the man. And we start to assume that she was sexually assaulted. It turns out the stranger was an old client of the prostitute. Rana doesn’t want to involve the police, fearing the repercussions to her reputation. Emad becomes restless, obsessed with finding the perpetrator. He’s distracted, as if his mind is continually asking, “how could this happen? What kind of man can’t protect his wife?” It’s an emasculating situation mirroring the salesman he’s performing on stage, a man who at the end of his career can’t provide financially for his wife and family. A disturbing chasm appears in the marriage from nowhere. Emad struggles to look his wife in the eyes. The crisis reveals cruel reactions from a character that we admired from the start. He even turns on his students, ridiculing one of them in front of his classmates. Whereas Death of a Salesman is a study of the cracks in the American dream, this is an unveiling of the fissures and hypocrisy of the “moral” middle-class. Especially the modern Iranian middle-class. Not only in this marriage with its ruthless emotions bubbling shallowly below the surface, but also with the prostitution ring and the religious family men that indulge in it. Society doesn’t talk about it candidly; they look the other way until there is a crisis. And people’s real character is revealed in times of crisis. But one of the standout features of the script is how empathetically the characters are drawn. In true Farhadi style, every development in plot is layered with ambiguity. This is more of an exploration of human actions and reactions, not a judgment on them. We sympathise with every character. Even when they have opposing viewpoints. Twists in the plot make us change sides back and forth. Even the prostitute is revealed to be a single mother struggling to find a new place to live. The perpetrator, once found, is also painted in an empathetic light. Good people do bad things. Sometimes they mean to do them. Sometimes they don’t. Sometimes they regret it. Sometimes not. 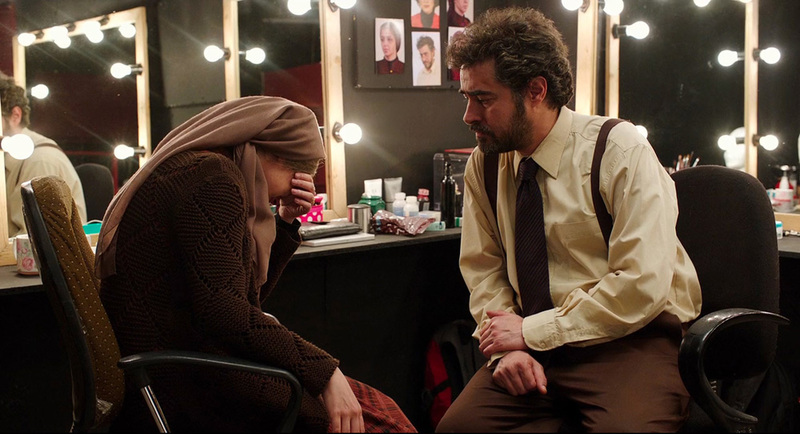 Like a theatre production, The Salesman restricts itself to an acutely-observed, confined space and doesn’t rely on big-budget special effects. It concentrates on simple but powerful story-telling, revealed through intricate dialogue and complex relationships. The unromanticized mise en scène and understated performances (even the smallest mannerism is in character) add up to a grippingly plausible string of events. There is not a moment of suspended belief. 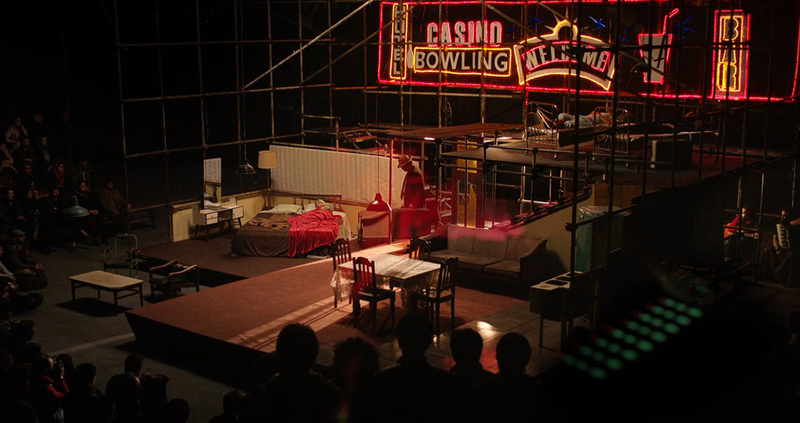 Arthur Miller’s and the great Harold Pinter’s influence on Farhadi is evident. The screenplay is taut. Some people may find the pacing slow, but there’s a lot happening in each and every frame if you’re looking for it. Much of the storytelling is simply suggested and subtly imbued with character observations and foibles that tell far more than an exposition dump ever could. It’s a film flawlessly acted and captured. The Salesmen is more than worthy of its inspiration.